Collection of 200 card games. Right-click moves a card to the most suitable cell according to game rules. Double-click moves a card to a free cell. Whole column can be moved if you have enough free cells. Other features: resizeable window, statistics, score, time, unlimited undo, redo. 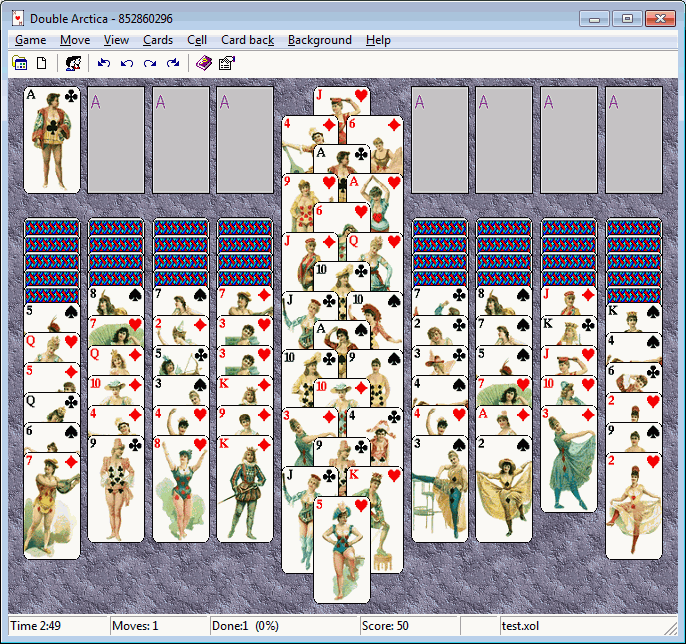 Games layout and rules are declared in XML format. 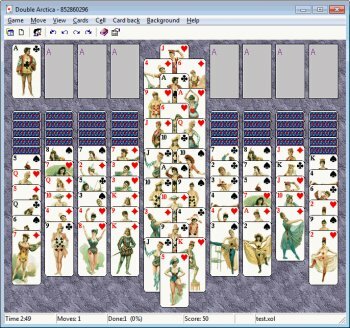 User can add his own cards and background BMP images.